Yes, Shark Oil Eye Cream Is A Real Thing! I’m not a huge fan of the ocean, to begin with, but I’m definitely not a fan of sharks! Sure, I watch JAWS and all the other shark movies but that’s about it. Even though I’m not a huge fan of these underwater monsters, when I came across shark oil eye cream I couldn’t help but want to know more. There are so many products on the market these days and many of them contain the strangest ingredients that you can possibly think of. However, this one might take the cake. 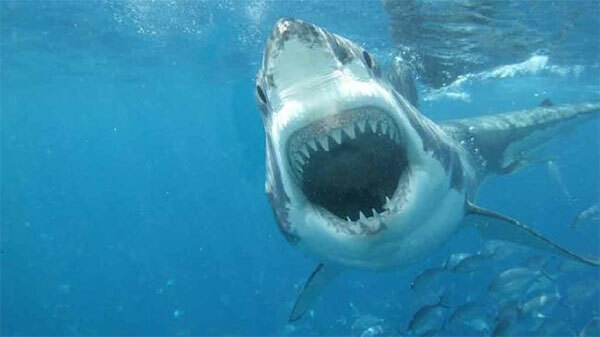 Shark Oil Eye Cream Is All The Rage This Summer! But Should You Use It? Wanna know why people are beginning to use this product to deflate puffy under eyes and get rid of those nasty dark circles? Well, it’s because shark livers contain a key ingredient that most eye creams include in their formulas. The ingredient is something known as squalene and it’s magical. If you think shark liver is the only way to obtain this active ingredient then think again. You can find squalene in natural foods such as olives, rice and more. The question you’re probably asking yourself right now is whether or not you should book a shark hunting trip this summer. My advice is to not waste your money just yet. The only thing you need to worry about is getting more squalene into your routine and that’s it. As we age, the amount of squalene dramatically decreases and when that happens, skin form wrinkles and it dries out faster than the Sahara desert. Your job is to replace the squalene, not kill sharks, lol! Now, all you need to do is find a reputable brand that creates an eye cream which doesn’t kill sharks off for their liver. Might I suggest using a serum by Keihl’s or maybe even La Mer if you’ve got deeper pockets? Either option is bound to save you time and money versus hunting sharks, trust me! Don’t forget that there are many other options out there if you’re just looking to depuff your eyes. You’re not stuck with hurting sharks or animals just to achieve your perfect skin complexion. In fact, I’ll be the first one to say that cruelty-free is the only way to go when it comes to purchasing skin care products. There’s one thing I know for sure. When Kim Kardashian talks about using a product, the world listens! She’s been known to share a ton of health and beauty information with people who read her personal lifestyle blog. That’s just one of the many places she shares her tips. Apparently, she’s giving praise to one specific eye cream. There’s an Icelandic company that she’s been incorporating into her routine. The company is called Skyn Iceland. 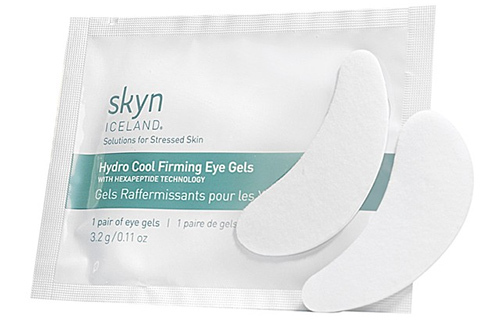 I’ve seen Kim K. use a number of different eye creams but in this particular case, she’s incorporating Skyn Iceland eye cream as well as an eye gel. I personally don’t think it’s necessary for Kim to have a jet lag beauty kit, but she does fly more than you and I. She’s traveling around the country for New York Fashion Week, Paris Fashion Week and all the stops for the Kayne West Sait Pablo Tour. Kim Kardashian carries with her, the Hydro Cool Firming gel in order to get rid of the puffiness of her under eye region. When it comes to reducing the presence of dark circles, Kim is using the Skin Iceland Relief Eye Cream. If you’re not familiar with the Skyn Iceland products, they are all made with the use of natural ingredients from many Icelandic regions. I’ll be the first to admit that I believe in using products for what they are made to be used for. Turns out there’s a new men’s line that has the same belief and it’s called Charles and Lee, also known as Charles + Lee. They are hitting the men’s skin care market soon and they’re more than prepared to deliver, so it seems. The Charles + Lee product line is not for the individual that likes to use an all in one solution. Instead, it seems like the pride themselves in having products that do specifically what they should and they should be used accordingly. The brand is one of the latest launches in the organic skin care for men market with natural ingredients such as goats milk, vitamin A, shea butter and even goji berry. These products also come with a clean sleek looking package and for those that are trying their best to avoid any busy or colorful products in the shower then this might be a decent fit. It’s a modern organic loving man’s product line that might be your answer to the winter skin blues. Charles + Lee has a face wash, hand cream, body wash and a moisturizer that will all be available come March 1st. 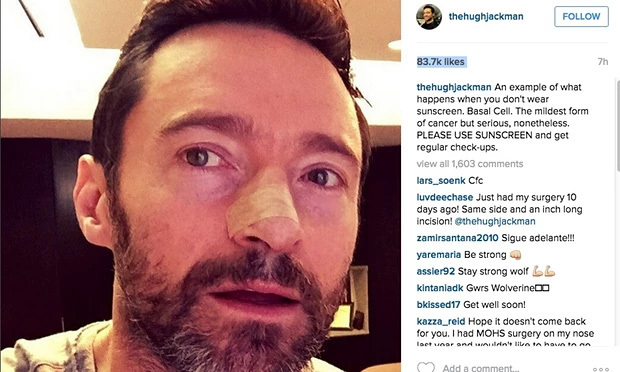 Until then, you’ll have to stalk their Instagram page for more insight. Lastly, I should add that I personally do not use all these types of products and you may or may not need to use the entire line. They don’t have any products to use on your under eyes yet, but I still am personally interested in trying out some of the products. My personal experience tells me that it’s best to only introduce one or two new products into your skin care regimen at a time. If you’re taking any other approach, then it’s rather difficult to determine what’s actually working for you. Instead, introduce each slowly and measure your results. They may actually surprise you quite a bit.